I am no preacher, but, am a prime sinner and living in this world in HIS mercy. For a sinner like me too, when I read “The Holy Bible” KJV, the following verses were given in the context of “my sin”, found only in the Old Testament. 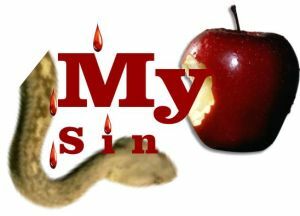 what is my sin, that thou hast so hotly pursued after me? that he may take away from me this death only.